The library is a gathering place — both physical and virtual. It is not only a place where ideas are explored, concepts are learned and theories are unearthed, but where friends are met, relationships are forged and community is created. The library is the keystone of campus, a place of inspiration, imagination and initiative. Above all else, the library is people who make a difference. The library’s positive learning environment and exceptional research collections continue to evolve with the help of donor investments. 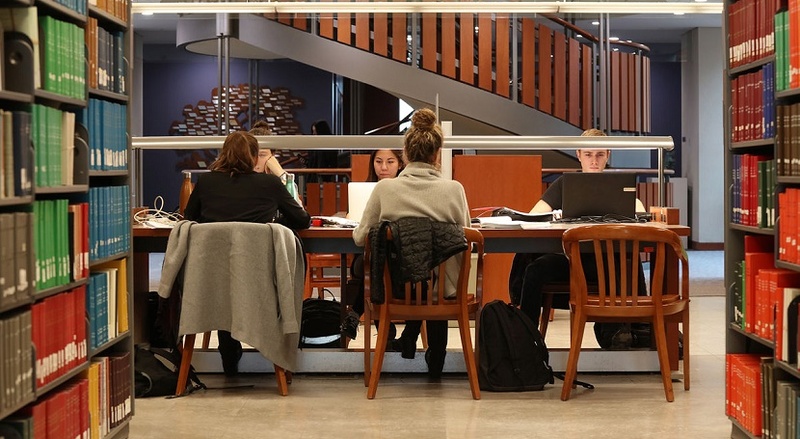 From the magnificent award-winning Stauffer Library to our unique special collections and the virtual library, we see the impact of our benefactors’ generosity. Our current priorities involve further development of our much-used physical spaces and the ongoing development of collections crucial for learning and research.